Hypnosis is a process wherein the hypnotist guides you into a state of trance. Trance is a naturally occurring state of conciousness (we go into trance when we watch a movie, read a book, when we’re going to sleep and between sleep and waking up) that allows us to access the resources of our uncouncious mind. 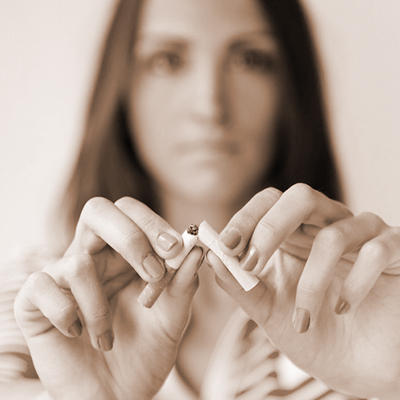 Hypnosis has been proven as the most effective way to quit smoking. Celebrities like Ellen DeGeneres and Matt Damon have used hypnosis to quit smoking. 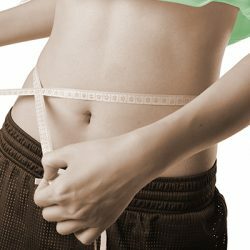 Weight loss is also much easier to accomplish when hypnosis is used. Tim’s clients have also used hypnosis to get over fears and phobias (public speaking, flying, driving, etc.) and to deal with sleep and pain issues. A one hour session with Tim will not only help you resolve your life issues through hypnosis, he will teach you how to use the tools on your own, like a personal trainer who not only works you out at the gym, but gives you a home routine as well. The “Forget how to Smoke” program was developed in 2016 by The Green Spa’s hypnotherapist, Tim Seitz, winner of Thumbtack’s “Best of 2015” award for Hypnosis, and his mentor, Justin Tranz, a world famous hypnotist. Over 30 Million Americans smoke cigarettes, and when they want to quit, most will try patches, gum or even prescription medicine the first time. Many people find themselves smoking a week or two after they “quit”, because while their physical desire to smoke may have been quenched, their emotional reasons for smoking have not been addressed. Hypnosis is far more effective than patches, gum and prescription medicine in helping people stop smoking because it addresses the psychological reasons people smoke! This gives the smoker a greater chance of quitting cigarettes forever. Most hypnotists use a technique called “Aversion” which makes cigarettes smell and taste disgusting. While this works great for the first month, a smoker may start smoking two or three months later because they still identify as a smoker and they don’t FEEL the danger of cigarettes. Advanced Aversion – Not only does the smell of cigarettes make you feel sick, the thought of smoking one does as well! Regression – This takes away your “smoker’s identity” so you no longer feel like smoking is a habit and something you “need to do”. Cross – Roads – This dramatic technique connects what you know about the dangers of smoking to how you feel. You will no longer “feel” like smoking! But 93% wasn’t enough for Tim! He is determined to get to 100% success, so he decided to find a way that works even for the “Stubborn 7%”. Combining hypnosis with Neuro Linguistic Programming, he developed a technique that actually strips away the smoker’s skill of smoking. You see, only smokers “know how” to smoke. Because every smoker coughed and choked the first time they really inhaled! When Tim strips away the “skill of smoking” it resets the person’s mind to its pre-smoking condition, so if they try to smoke a cigarette, they will cough and choke as if it were their first cigarette! In under 3 hours, people go from being smokers to true non-smokers (without the desire or skill to smoke a cigarette), and Tim provides free phone follow ups for four weeks to make sure you are feeling 100%! If at any time in the five years after your session you smoke a cigarette or even have a desire to smoke a cigarette, you can come back at no additional charge to free yourself from any desire for cigarettes. The cost of this program is only $997 plus tax, we say only because the average “pack a day” smoker in NYC spends between $4,500 – $6,000 a year on cigarettes. How will you spend the money you saved on not buying cigarettes? If you have questions about the program, set up a FREE consultation today with Tim Seitz where you can see how well you respond to hypnosis, and have all of your questions answered. Just ask for a “Stop Smoking Consultation”, and we will schedule your free 30 minute consultation with Tim. Book Your Appointment Now! GUARANTEED RESULTS! The Green Spa’s “Forget how to Smoke” program was developed in 2016 by The Green Spa’s resident hypnotherapist, Tim Seitz, winner of Thumbtack’s “Best of 2015” award for Hypnosis, and his mentor, Justin Tranz, a world famous hypnotist. Over 30 Million Americans smoke cigarettes, and when they want to quit, most will try patches, gum or even prescription medicine the first time. Many people find themselves smoking a week or two after they “quit”, because while their physical desire to smoke may have been quenched, their emotional reasons for smoking have not been addressed. Hypnosis is far more effective than patches, gum and prescription medicine in helping people stop smoking because it addresses the psychological reasons people smoke! This gives the smoker a greater chance of quitting cigarettes forever. Most hypnotists use a technique called “Aversion” which makes cigarettes smell and taste disgusting. While this works great for the first month, a smoker may start smoking two or three months later because they still identify as a smoker and they don’t FEEL the danger of cigarettes. Tim’s 3 step process (which he has used since 2010) has had a 93% success rate in turning smokers into non-smokers (people with no desire to smoke a cigarette) by using- Advanced Aversion – Not only does the smell of cigarettes make you feel sick, the thought of smoking one does as well! Regression – This takes away your “smoker’s identity” so you no longer feel like smoking is a habit and something you “need to do”. Cross – Roads – This dramatic technique connects what you know about the dangers of smoking to how you feel. You will no longer “feel” like smoking! But 93% wasn’t enough for Tim! He is determined to get to 100% success, so he decided to find a way that works even for the “Stubborn 7%”. Combining hypnosis with Neuro Linguistic Programming, he developed a technique that actually strips away the smoker’s skill of smoking. You see, only smokers “know how” to smoke. Because every smoker coughed and choked the first time they really inhaled! When Tim strips away the “skill of smoking” it resets the person’s mind to its pre-smoking condition, so if they try to smoke a cigarette, they will cough and choke as if it were their first cigarette! In under 3 hours, people go from being smokers to true non-smokers (without the desire or skill to smoke a cigarette), and Tim provides free phone follow ups for four weeks to make sure you are feeling 100%! If at any time in the five years after your session you smoke a cigarette or even have a desire to smoke a cigarette, you can come back at no additional charge to free yourself from any desire for cigarettes. The cost of this program is only $997, we say only because the average “pack a day” smoker in NYC spends between $4,500 – $6,000 a year on cigarettes. How will you spend the money you saved on not buying cigarettes? If you have questions about the program, set up a FREE consultation today with Tim Seitz where you can see how well you respond to hypnosis, and have all of your questions answered. Just ask for a “Stop Smoking Consultation”, and we will schedule your free 30 minute consultation with Tim. 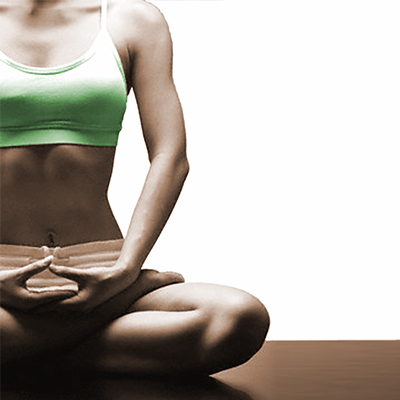 Hypnosis to change the thinking and behaviors that have kept you stuck in the yo-yo’s of dieting. Let go of it all and lose the weight you have been carrying for way too long- NOW. Great for anyone who wants to learn Hypnosis. Learn influence techniques for individuals and groups. Learn how to become a human lie detector (great for your poker game! ), feel motivated on every sales call or meeting, customer service techniques that keep every customer satisfied, and Tim’s famous “Gate-Crasher” technique that gets every salesperson past the gate keeper!